Perfect Lips................................ What does that mean? Well, it doesn’t mean your lips have to be huge to be perfect! To me, it just means keeping your lips smooth, hydrated and less lined. Since your mouth is a very prominent feature of your face – next to your eyes – it’s important you keep a head of lip wrinkles as they develop. As we age, many of us tend to concentrate on eye wrinkles and sagging facial jowls - but often neglect to realize that smooth beautiful lips can make you look younger too. Dry, thinning, peeling, and wrinkling………….this is what happens to our lips as we age.....and this is far from perfect! Women tend to forget how vulnerable the lips are to the aging process! We need to care and protect them just as we would with the rest of our face. Smooth, soft, hydrate lips can make your face look younger. As can a firm, wrinkle free, mouth. 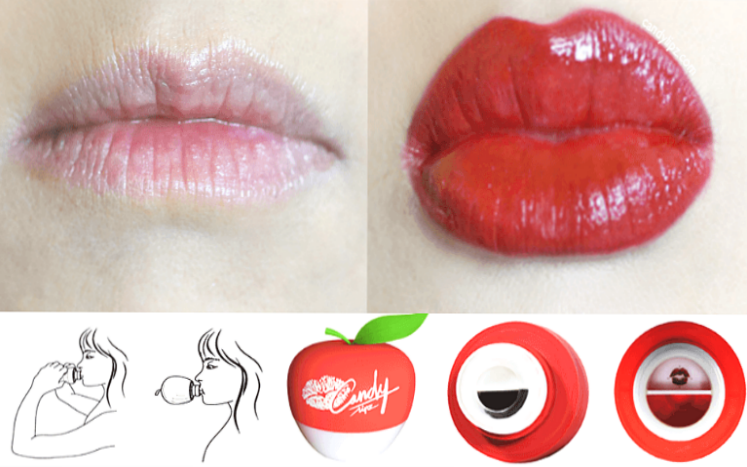 First off - try this awesome (temporary) lip plumper. Women say plumping results last anywhere from 2-12 hours. And, over time, they results last longer and longer. I find a unique lip gloss that helps reduce the look of lines and wrinkles, but still leaves my lips feeling soft, full and "cushiony". It's cheap and comes in a ton of gorgeous colors too! What's not to love? Your lips will never look perfect if they're discolored, dry, and dehydrated. No question - hydrated lips look more appealing and younger. Use a lip balm, lip gloss, or a hydrating lipstick daily……..especially one with a color that suits/compliments your complexion tone. Watch this video to see how this lip gloss can get as close as possible to perfectly hydrated lips!! As far as lipsticks go -- I think a glossy hydrating lipstick is a perfect combination - especially in a light plum/reddish color. This makes the face look brighter and more awake. So don’t be afraid to experiment with color. Especially if you’ve had a long night and little sleep!! A complete face exercise program can help lift the corners of your mouth, reduce mouth wrinkles, vertical lines, reduce those pesky corner mouth pouches, firm up your chin, and reduce sagging jowls. Here is one sample perfect lip exercise to reduce vertical lip lines (courtesy of Carolyn’s Facial Fitness). Place your index and middle fingertips from each hand on each side (to the left and right) of the center of your mouth. And rest your thumbs under the tip of your chin. Curl your upper lip over your top teeth and then slide your two fingers down your lips towards the corner of your mouth….while counting to 5. Repeat this 10 times. You can repeat this movement for lower lip wrinkles too. Just place your fingers on your lower lip, while curling your lower lip over your bottom teeth. Then slide your fingers up toward the corner of your mouth….counting to 5. Repeat this 10 times. For beautiful perfect lips you must exfoliate regularly to get rid of dead, dry cells. Make a paste mixture with olive oil, emu oil, or almond oil and brown sugar. Mix the two until you get a nice paste like texture. Rub this paste all over and around your mouth gently. This will remove dead cells and help to soften and hydrate them too. And removing dead cells will enable your moisturizers to be better absorbed -- giving them a plumper softer look. Consider trying a at-home lip plumper. It's not for everyone, but I love it. My results last about 3 hours but some women claim that over time they get better and longer results. I guess it all depends on the person and how often you use it. Click here to learn more about a natural "At-Home" Lip Plumper...……………. Hollywood Beauty Secrets - Can't afford a laser peel? This intense facial is perfect to facial can even out rough bumpy complexion, red blotches, fines lines, freckles. 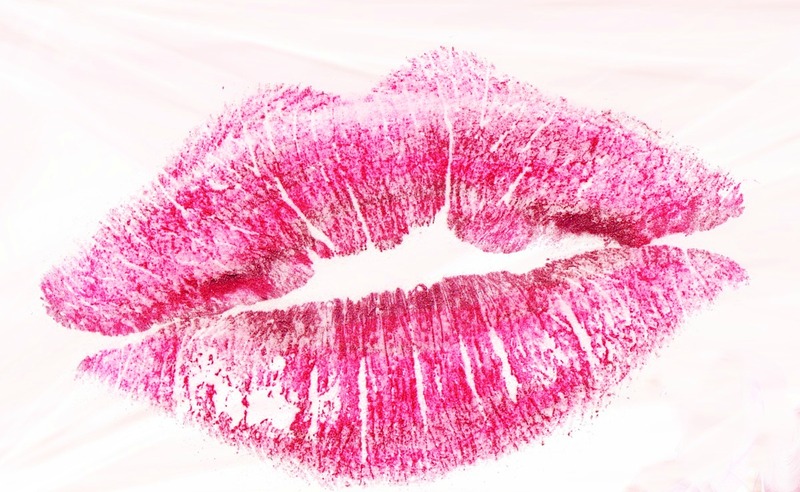 Learn how to make lip gloss at home.....from the best lip pumpers to hydrators. Anti-aging lip gloss recipe. It takes minutes to make -- and I'm sure you'll love it. Botox For Mouth Lines - Using Botox for mouth wrinkles and vertical lines and visible facial aging. Lip Enhancement Surgery - Interested in a permanent surgery solution? Read about your options here. 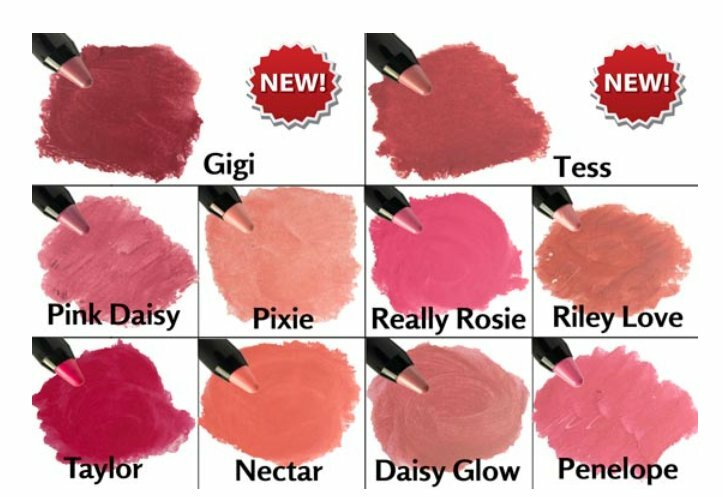 Lip Stain - While stains are longer lasting, they can be too drying for mature women. Hide Wrinkles - Topical Dermal Filler - Fill in lines, wrinkles, large pores....making them almost invisible. Use under makeup for nice smooth finish. See before and after pictures.